These juicy, cheesy, and saucy mini burgers are guaranteed to have your mouth watering. There’s two parts to this simple and quick recipe, the burger, and the magic sauce. Put all the ingredients in a bowl and mix together with your clean hands. Next you can form into little bite-sized burgers. I used a protein-powder scoop we had lying around to make perfectly-round burgers. 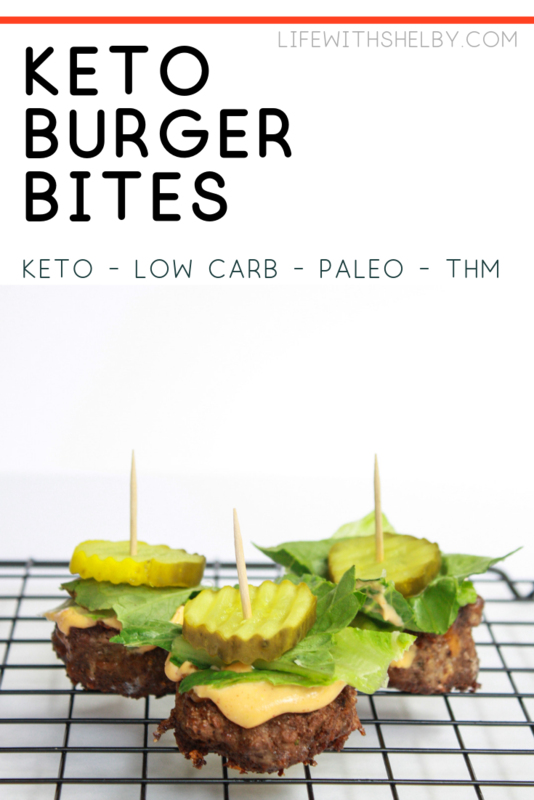 You can also use a small mason jar lid or cookie cutter to form your burger shapes. Grab a pan, throw in some avocado oil or butter and place your burgers in the warm pan to cook. Next, you gotta make that SAUCE baby!!! Combine all these ingredients into a bowl and, stir it up! I let my 3 year old do this part because she loves to help in the kitchen. She may or may not have been eating the sauce with a spoon while stirring it. Once you have flipped your burgers and they are cooked to your liking, sprinkle a bit of cheese on top, throw a pan lid on your pan so that cheese melts, and THEY’RE DONE! Top your mini burgers with the sauce you just made (YUMMM!!! ), lettuce, and a pickle!